Solar panels use the energy generated by the sun and turn it into useable electricity for your home. 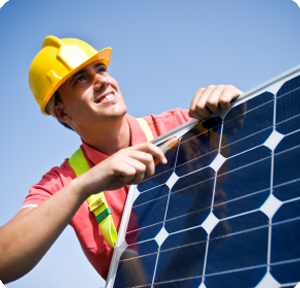 After the installation of your solar PV panels you will start to reap the rewards of solar energy. The appliances in your household will automatically be powered by the ‘free’ electricity that you are producing. To find out if your home is suitable Contact Us at Circuit Alert Ltd and speak to one of our expert Solar Consultants.